Do you remember feeding the birds at Christmas time? This beautiful handcrafted cardinal ornament reminds us of a White Christmase and giving a little help to one of our feathered friends. 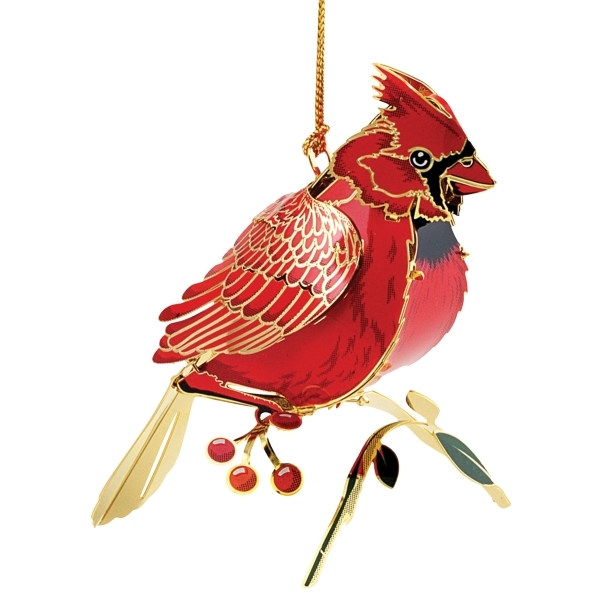 The artwork on this red bird Christmas ornament is exquisite and the touch of red is just right for your Christmas tree!